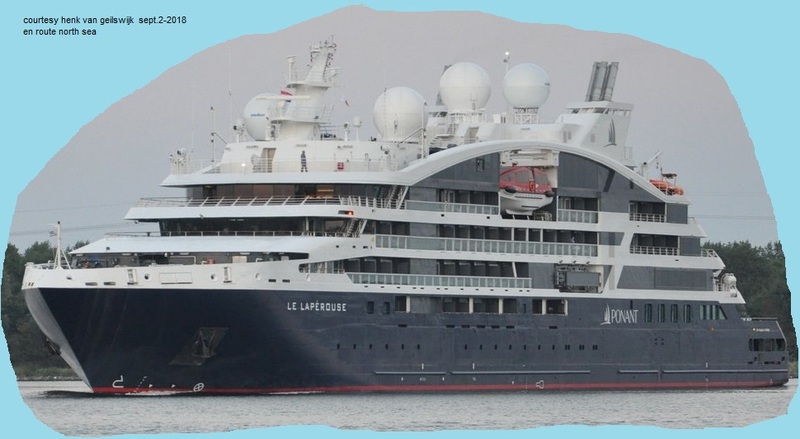 The Le Laperouse is the first of the so called Explorer class. 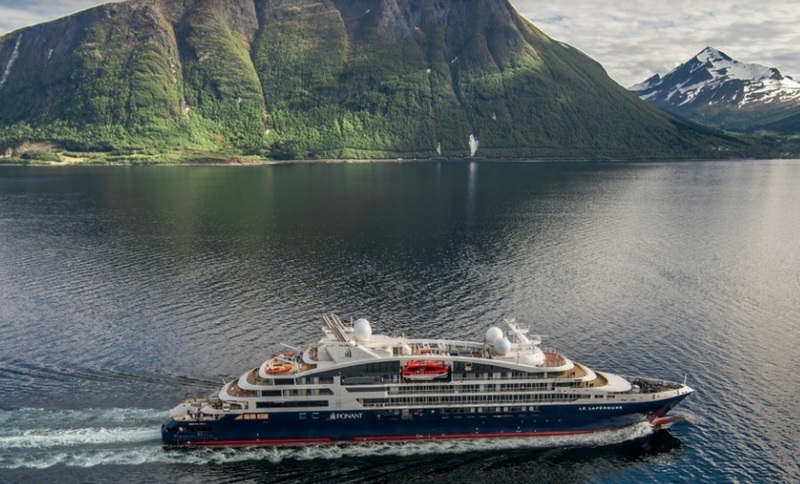 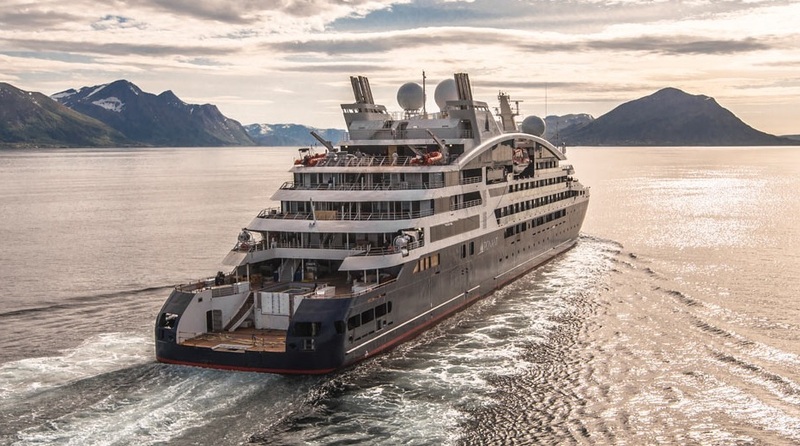 Norway-based shipbuilding group Vard Holdings (Vard) has been contracted to build six luxury expedition cruise vessels for French cruise company Ponant.The hulls of the newly ordered vessels will be built at Vard Tulcea in Romania, with delivery scheduled from Vard Søviknes shipyard in Norway between 2018 - 2019 and 2020. 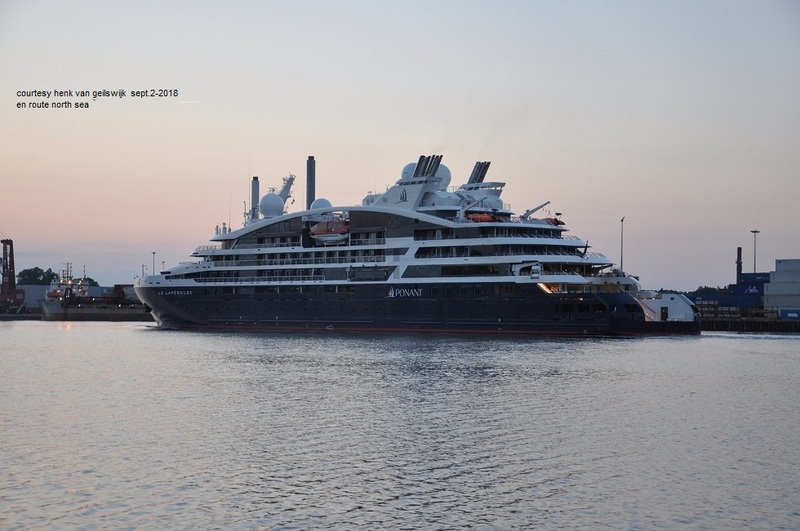 The new vessels will be developed by Vard, Ponant, and Vard’s parent company, Fincantieri, based a previous series of four luxury vessels delivered by Fincantieri to Ponant between 2010 and 2015. 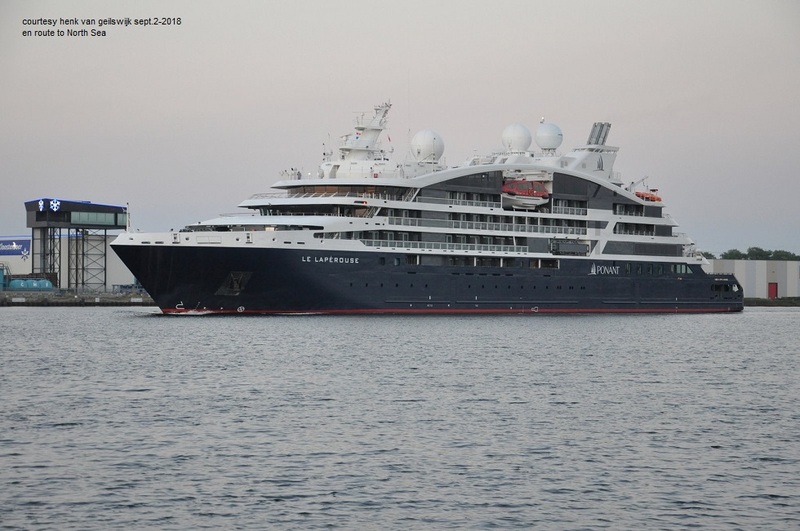 With a cruise speed of to 15k, the vessels will be equipped with a high class of luxury facilities on-board, fulfilling relevant environmental compliances and safe operations. 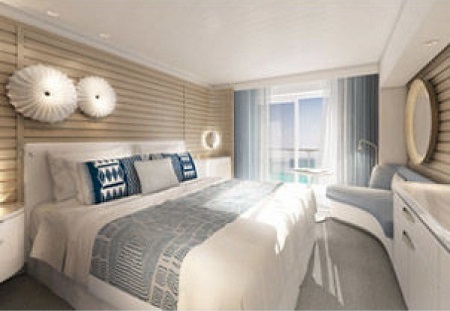 Two lounges including an open-air poolside bar, a theater, fitness center, spa, and plenty of private space. 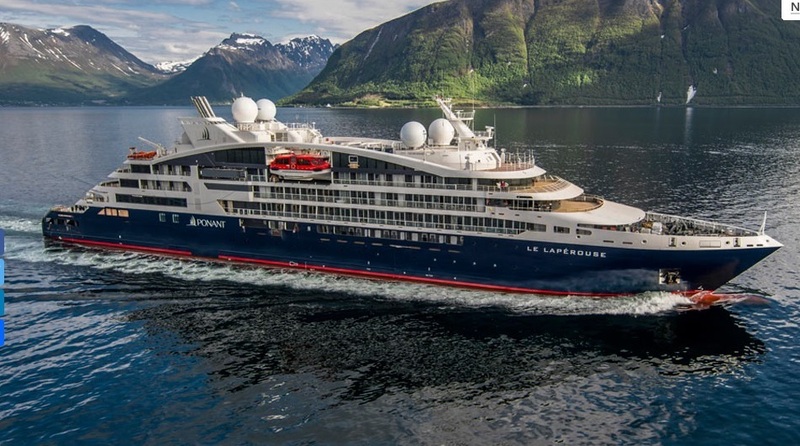 The most exciting new feature for the Explorer class ships are an underwater lounge that allows passengers to see, hear and virtually feel the passing marine life of the deep sea. 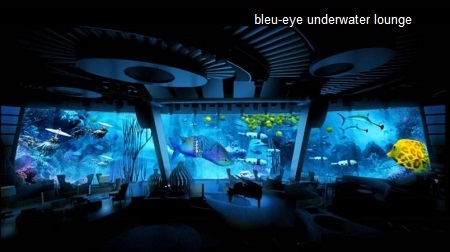 The Blue Eye underwater lounge will be located 2.5 meters beneath the water line and allow passengers to experience an underwater experience. 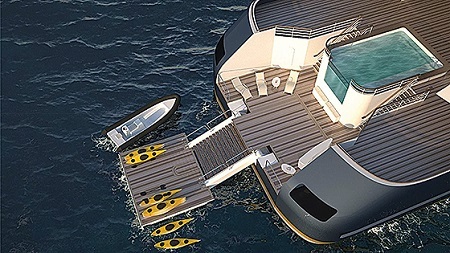 Jacques Rougerie, a French architect and oceanographer, is behind the design, which incorporates huge windows, underwater cameras and acoustics (microphones will pipe in sound). 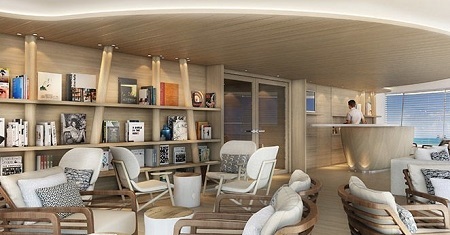 “Most importantly we worked with sound engineers to bring in the sounds of the ocean to our guests when they sit in this lounge,” added Sawhney.